Inspired by the ever-so-demanding needs of the business world, and wanting to provide traveling professionals with the best in functionality, innovation, quality and mobile support, we responded with McKleinUSA. 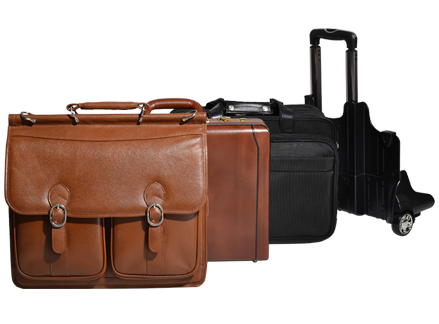 McKleinUSA is the mid-tier brand of McKlein Company, LLC, featuring a collection of fabric and leather business cases, laptop cases and leisure bags. From its humble inception, McKleinUSA has grown to become known as a pioneer of innovation with mobile computer cases, and travel bags around the world.